Sometimes, the only reason for not being disappointed by a film are low expectations. With a new director, Ashish R Mohan making a film obviously meant to give another push to Jackky Bhagnani’s (the producer’s son) career, and the only saleable point being Arshad Warsi, who would think Welcome 2 Karachi had anything much to offer? Inspired by Dumb and Dumber films, this one has two dimwits landing up in Karachi when the boat on which they are partying with skimpily clad white women (producer dad willing to shell out money!) capsizes during a storm. The humour is meant to be silly and it is; the two guys are meant to be daft and they are; a film like this is low on logic, so wondering how or why anything happens makes no sense. Suffice to note that the guys get fed on a regular basis and are given fashionable changes of costume—it wouldn’t do to have them running about in rags, would it? 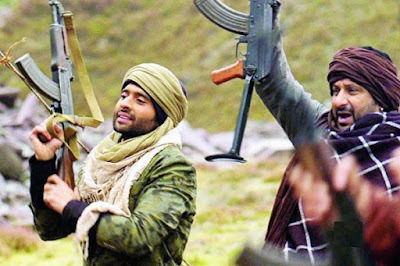 Some of the lines are comical, and Jackky Bhagnani as the Gujjubhai from Jamnagar, puts on the right accent and manages to be a worthy foil for the very talented comic actor Arshad Warsi. The script (Vrajesh Hirjee) could have been much funnier and the pace faster; on the plus side, there is no romantic track to distract and some good actors in cameos. Since the mood of the Bollywood film viewer is partial to comedies these days, Welcome 2 Karachi might just float. There is some talk of a series of Welcome 2 films… the next one could just be in London, if the madcap ending is anything to go by.